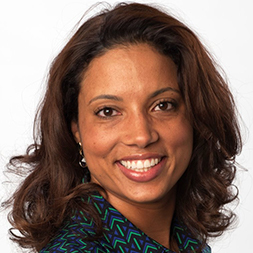 Latasha Wilson-Batch serves as the executive director for Best of the Batch Foundation. This role and the foundation’s mission are her passion, which empowers her to fulfill the vision of making the impossible, possible for countless area kids. The result is a community committed to becoming the “best of the batch” in life. Wilson-Batch’s leadership has helped spearhead the growth of the Best of the Batch Foundation to reach more than 3,300 boys and girls from financially challenged communities annually. Under her direction, new and innovative educational and extracurricular activities collectively encourage children to become engaged and active participants in their education and after-school activities. She is a constant presence at “The Clubhouse,” and the participants know that they can talk with her about anything. Wilson-Batch has also developed special programs for young girls and women with emphasis on education, sports, and fun. The most important component of these relationships is being present. Wilson-Batch has been honored by the Girls Scouts of SW Pennsylvania as the 2015 Women of Distinction award for nonprofit, 2015 Get Involved! Woman of the Year, National Association of Women Business Owners, Make the Connection Award, and is a recipient of the UPMC Center for Inclusion “Champion Award.” She serves on several boards: Strong Women Strong Girls, Women’s Center and Shelter of Greater Pittsburgh, Off the Field Players’ Wives Association, and others. Her reach has also been felt outside of the U.S. in her travels to Swaziland, South Africa with Beyond the Game for mission trips, and in building schools for orphans. Wilson-Batch received a BS in psychology and a BA in physical education from Johnson C. Smith University and an MS in human development in sports from the University of Tennessee. She recently completed her MS in professional counseling at Carlow University and is now pursuing her PsyD. She is the soul mate to Charlie Batch, and together they have five four-legged kids: Roxie, Bunz, Snoop, Nate, and Aysia.